Let's face it; the idea of "Casual Friday" has turned into an everyday epidemic. Corporate environments, doctor's offices and retail merchants are overflowing with relaxed dress codes that show no difference between casual business attire and someone's weekend wardrobe. While some guys tend to embrace casual attire during their work week, there's still the welcomed appreciation of a sharp dressed man showcasing a fashionable necktie. The perception may be that it's less common to see a man sporting a tie at the office, in restaurants and at social events, but is that really the case. Are neckties becoming extinct? Of course not, some guys are just missing the boat. Whether worn daily or only for special occasions, neckties have always played an important role in fashion. 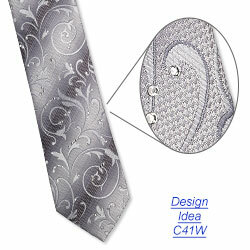 Recently, more and more men are finding new reasons to wear their favorite power ties and reinvent the standard style. Whether dressing up for a job promotion, attracting new clients or impressing that special someone, the return of the everyday tie-wearing gentleman is a refreshing sight. A business suit is a staple in every man's wardrobe, but the tie is where he can branch out and experiment with colors, styles and crystal embellishments. 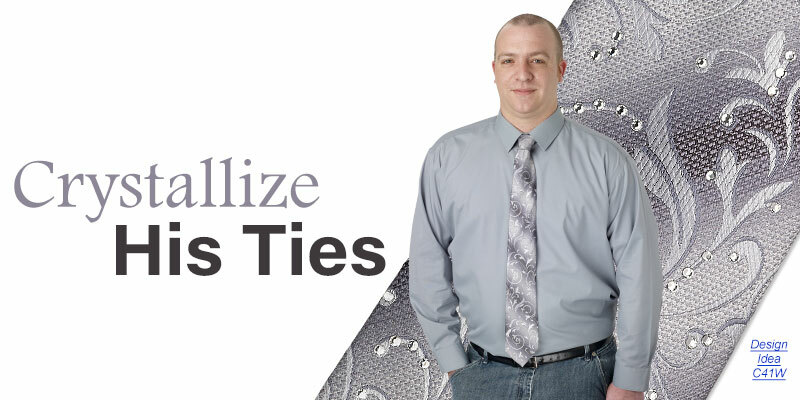 Seen throughout men's fashion websites, retailers and tradeshows, adding the subtle sparkle of crystals to a tie can truly take it to the next level. The key phrase is "subtle sparkle." Think small, using tiny Swarovski crystal flat backs to accentuate the pattern on a tie or create your own design with stripes, swirls or outlines. 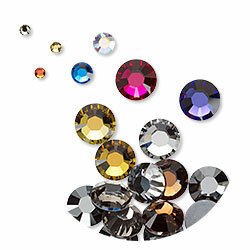 Swarovski crystal flat back sizes start as tiny as 1.9mm rounds and go up in size and shape including triangle, stars and other styles, opening up your creative options for tie designs. Blending the rhinestones on the fabric with a blue-on-blue or pink-on-pink color combination gives an understated look for everyday wear, while contrasting the crystal colors with the fabric gives a more noticeable appearance for those who love the limelight. To adhere the flat back crystals to the fabric, use a two-part epoxy or G-S hypo fabric cement for a strong bond. Hot-fix flat back crystals work wonders without the need of added adhesive. 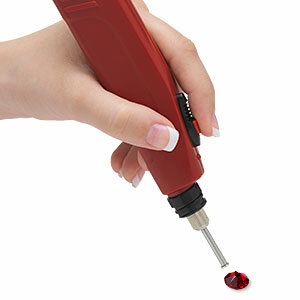 Tools such as the Hot-Fix Heater™, Tweezer Vac™ or Glitz Up vacuum are essential items when working with tiny rhinestones. No matter how exquisite the stitching or expensive the fabric, a tie is still just a long strip of fabric unless it's showcased as an extension of one's own personality. And with fashion's newfound appreciation for neckwear, it's time to dig into your closet and give those forgotten ties a modern facelift for a man with a sparkling personality.